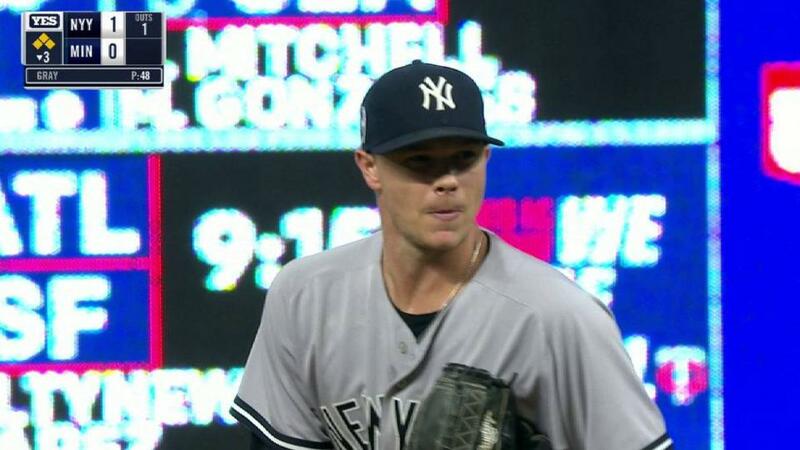 As Sonny Gray completes a season that has seen almost nothing go as he would have expected, the right-hander has gamely filled a variety of roles since losing his rotation spot in early August, including an occasional spot start. Those outings inspired the Yankees to roll the dice for a pitching shuffle on Tuesday, and that gamble backfired. Gray lasted just three innings as the Twins took an early lead, then punished relievers Jonathan Loaisiga and Tommy Kahnle to blow the game open. Joe Mauer cracked his fifth career grand slam as part of a six-run fifth inning, powering Minnesota to a 10-5 victory at Target Field, its first in 10 tries over the Yankees, including last year’s American League Wild Card Game.